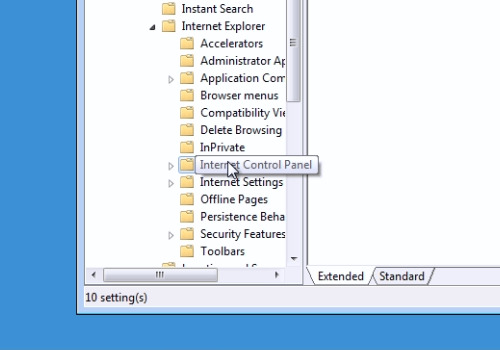 In this video tutorial we will show you how to disable internet options. 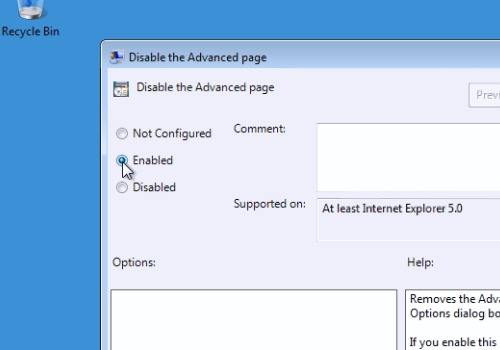 In order to disable internet options, open the Internet Explorer. 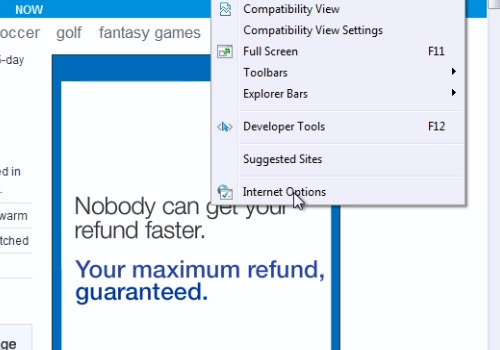 In the following window, click on “Tools” and select “Internet Options”. For example, click on a tab that you want to disable. Then, close the “Internet options” window and close the Internet Explorer. Go to the “Start” menu and in “Search programs and files” type “gpedit.msc” and press the “Enter” key. In the following window, click the little triangle near “Administrative templates”. In appeared menu, click the little triangle near “Windows Components”. In the following menu, click the little triangle near “Internet Explorer”. In the newly opened menu select “Internet Control Panel”. In the following menu, right-click “Disable the Advanced page” and choose “Edit”. In the following window, select “Enabled” and then press “Ok”. When it’s done, open Internet Explorer. In the following window, click on “Tools” and select “Internet Options”. As you can see, your tab is disabled.